So a few weeks ago I went on a road trip with my Big Friendly Gay (BFG) buddy. Yup, 3,000 miles down to Tucson, Arizona and back. We’re both very organized and exacting, both insufferable know-it-all types. I’m the kind of person who rises at precisely 6am, fixes my coffee at 6:15, starts writing at 6:20. Real Phileas Fogg types. And so the first couple days, we spent a lot of time trying not to say anything too blunt because, really, you still have six hours to go with this person in the same car. Easily in throttling distance of you. So we kept our certainties to ourselves and smiled those clenched smiles of the self-righteous who are trying to hold it in. And of course, whoever ended up being right each time would find the chance to put in one last jab. The whole problem, I began to realize, is that we liked to think there was only one way to head south, and we had each found the superior route. But as the days went by, and the junctions and turnpikes veined outward, I began to realize how vast the territory was that we were covering and that there were ten possible routes–not one. By the time we were heading back north, something had happened. I didn’t care anymore who was right. I didn’t care if we missed a turn because, usually, there would be another–and with so much space ahead of you, the shift in course was minor. We would still get where we needed to go. 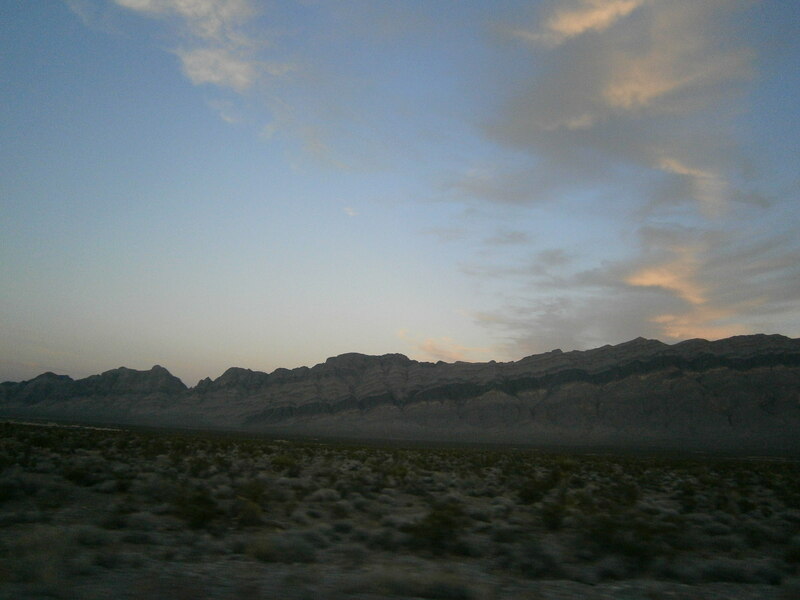 The sun was setting over the Nevada desert, and soon the Milky Way came out as I have seen it only twice in my life. I wanted to pull over and start a campfire out there and just lay back on the cold ground and watch the stars. It was beautiful. I wasn’t sorry anymore for the “wrong” turns we’d taken or the unexpected places we’d ended up. I was glad for it. I pressed my forehead against the window and gazed up at the arm of the galaxy, and I realized life is exactly the same. Time, for us, is unidirectional, and we just keep on moving forward. We can’t help it. And if we take a turn we hadn’t intended, if we end up somewhere we hadn’t wanted to go, maybe that’s not so bad. We can’t go back. So those wrong turns may not be so wrong after all–we get to see more of life than we were planning, just as I was seeing more of my country than I had ever known before. It was just a detour, and things could surprise us for the better out here in all this open country. I came back to my life–putting books on shelves, sitting down with college students to talk over how they could improve their writing, plugging away at my novel–and I was less afraid of disrupting the order of it. Surprise me. Let me stumble upon a road I wasn’t planning to take. Now I know it’s nothing to be afraid of.